The New York Yankees have been hit by the injury bug more than most teams this season but if you read my “So it Seems” on Friday you saw that the Yankees are as resilient as any team in the league. This team has hung around despite the injuries and I predicted that when the team gets some of their stars back off the disabled list that they could be a scary team to keep an eye on going forward in the second half this season. The first wave of reinforcements could be on the way soon though for the Yankees, especially if you ask a certain somebody. 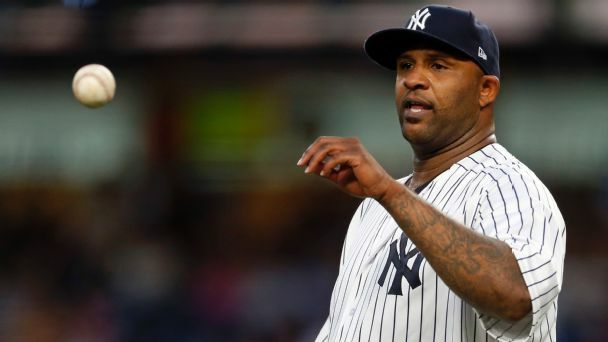 CC Sabathia, in an interview recently, told reporters “I’m ready.” Sabathia went on to say that “I feel like I’m ready to go” after throwing a 50 pitch simulated game on Thursday. Sabathia simulated three innings and believes he can avoid a minor league rehab start or two despite being on the disabled list since June 15 with a Grade 2 strain of his left hamstring. Naturally the Yankees and their manager Joe Girardi are being cautious with Sabathia, and I guess for good reason although my fandom and my patience sometimes blind me of that fact, and will wait for Sabathia to throw another bullpen session today before deciding the next step for the left-hander. So how will it go today and when will Sabathia be back in the Bronx? Stay tuned.